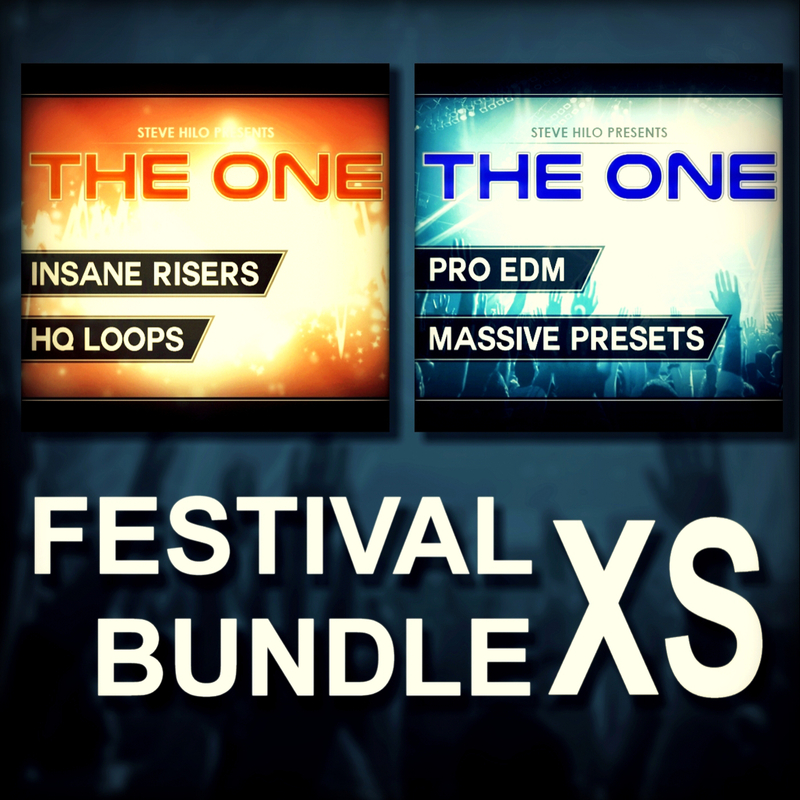 We noticed a lot of people bought "THE ONE:Pro EDM" and "THE ONE: Insane Risers" together, so we made you this bundle! This bundle contain all that you need to rock the scene on the main stage, coming with a good variety of different sounds including supersaws, leads, pads, arps, not to mentions the large amount of FX risers! All 376 sounds are 100 % royalty free and original, and can be used in any production without any legal issues. We are all witnesses of the massive explosion of the EDM scene, and we all know how much it really takes for a producer to cut through the masses of EDM musicians, that are more dense now than ever. With this package you have a very powerful weapon in your hands, which will certainly help you on your travel through the EDM jungle. Take a look at the demo songs, and here all the possibilities you have with the Festival Bundle XS. All those hard supersaws, leads, heavy basses - and all those riser samples, could be heard on your live set when you perform on the mainstage!